You became alarmed at how your skin and eyes were yellowing. You know that this is caused by jaundice, but such a condition is still not normal. So, you go to the doctor trying to figure out what is wrong with your body. In the process you receive devastating news… you have pancreatic cancer. This is a cancer in which your pancreas produces tumors that harm the functioning of the pancreas itself as well as any organs the tumors may metastasize to. The doctor may have also informed you that even with pancreatic cancer treatment, your chances of survival are slim. However, don’t give up. Even if your own doctor doesn’t want to work with you when it comes to experiencing more pancreatic cancer treatments, go to other doctors that will. 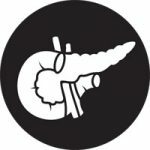 So, what are the common pancreatic cancer treatments that are used in the medical community to give the victim some hope of surviving? There are three that are the most popular: surgical intervention, chemotherapy and radiation therapy. You can find more information about these pancreatic cancer treatments below. Of the three major forms of pancreatic cancer treatment, surgical intervention tends to be the most successful. However, in order for a person to be a candidate for this type of pancreatic cancer treatment, they must have their tumors localized to just the pancreas. Depending on how developed the tumors are, doctors will choose between: the Whipple procedure, a total pancreatectomy or a Distal pancreatectomy. The Whipple Procedure is the most popular. Through it the head of the pancreas is removed along with the gallbladder and a portion of the bile duct. What remains gets connected to the small intestine, so the bile is still given an opportunity to flow. With a total pancreatectomy, the pancreas in its entirety gets removed in addition to the spleen, the gallbladder, the bile duct and even portions of the small intestines and stomach. It is the most extreme method of surgical-based pancreatic cancer treatment. Finally, there is Distal pancreatectomy, in which only the tail portion of the pancreas gets removed along with, (in some cases) the spleen. Chemotherapy is an infamous pancreatic cancer treatment that is also used for relieving other types of cancer. Basically through it a person is given drugs containing powerful chemicals that attack the tumors associated with pancreatic cancer. These drugs can be taken orally or shots. Chemotherapy may be suggested even if it can’t provide official pancreatic cancer treatment, since it can help alleviate the symptoms a person might be suffering. Radiation therapy is a pancreatic cancer treatment that uses X-rays or intraoperative electron beam radiation to kill the tumors. If X-rays are used, they are distributed through a high-powered radiation machine. On the other hand, if intraoperative electron beam radiation is used, the person will have to undergo surgery. Basically, during the surgery, doctors will direct electrons at the pancreas. These electrons will produce radioactive responses, since they are charged with a lot of energy. The use of Gemcitabine in the treatment for pancreatic cancer is one which is commonly used with chemotherapy. Studies have shown that finding new cures or advancement in the area of cancer treatment is difficult and often the studies only led to dead ends. A more recent study however has found that the use of the drug Gemcitabine in combination with chemotherapy and the intake of inhibitors had a greater effect on the slowing of the cancer, more so than just the using the Gemcitabine alone without any inhibitors. Although some side effects were present in the patients using the inhibitor these were mild such as diarrhea and skin problems however their life expectancy increased over a broad spectrum of time. New research can be slow and often limited however sometimes the research helps just enough for the survival rate to increase or for the patient to live more comfortably during their cancer treatment.